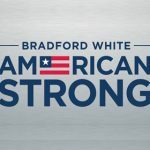 Residents of Boulder, Longmont and Denver metro searching for a drain cleaning company that can get the job done, do not have to look far. Planet Plumbing & Drain is the local and trusted drain cleaning company they can call for reliable service. Our licensed and insured drain cleaning company has been serving residential and commercial customers in Boulder County and Denver since 1996. 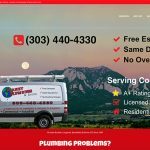 Call Planet Plumbing & Drain today at (303) 440-4330 to schedule your Drain Cleaning service, or Schedule Online. Boulder, Longmont & Denver metro residents should be cautious of hiring drain snake and rooter companies that may send out inexperienced drain snake technicians. When you choose a rooter company, the primary concern should be on getting high quality services, not just the cheapest price. Planet Plumbing offers the best combination of drain snake and rooter expertise at affordable rates. Our drain snake plumbers are extremely dedicated to finishing any drain cleaning job to the customers’ complete satisfaction. To ensure we are delivering superb service, we provide each drain snake and rooter technician with the proper training, and support them with the correct equipment and diagnostic tools to solve your drain problem. We provide experienced and trained rooter technicians, give them the right tools and technologies, and couple this with our old school attitude. 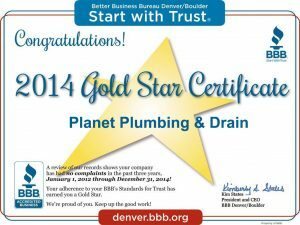 As a result, our drain snake and rooter company offers precision plumbing services to Boulder, Longmont, and Denver residents that has developed loyal customers and referrals. So, whenever you need drain, sewer, or other plumbing services, you know the drain cleaning company that is there to help you. Call our drain cleaning company will dispatch a drain or sewer cleaning technician to you and solve any clogged drain problem that you have. Have a clogged drain? Our technicians will unclog any type drain blockage that you may have at a residential or commercial property. Clogged drains can be a nightmare, but have no fear, we are here to help! Oftentimes, property owners will attempt to unclog drains with a DIY method such as plungers or drain cleaning chemicals. This can cause more problems and be a very costly mistake because chemical solutions can cause permanent damage to plumbing fixtures and pipes. In additions, these methods are an effort in futility when clogs are deep inside the drain lines resulting from sludge build up, tree roots, or bellies. Our same day service drain cleaning experts will solve your bathroom, floor, kitchen, laundry, toilet drain problem the first time, and have them working like new. 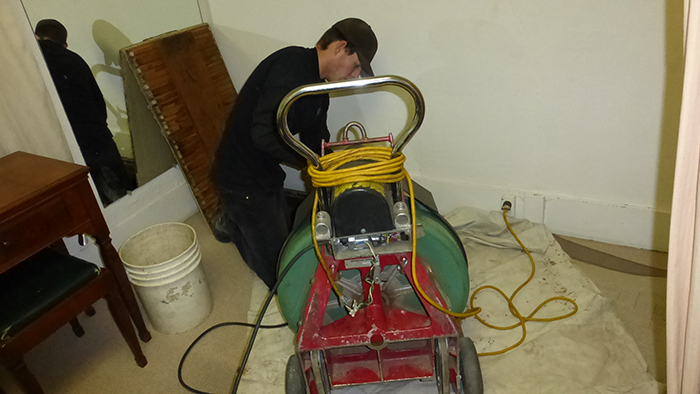 Every one of our plumbing technicians is experienced and trained in drain cleaning, drain snake, and rooter service. No overtime fees and free estimates over the phone usually. 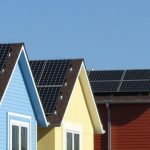 There is no charge for on-site estimates when needed.